Are you ready for more hotel options in Waikiki? Hyatt is betting the answer is “yes.” And, it’s banking on millenials to buy-into the company’s new hotel brand, which will offer the “younger” set the chance to be in the heart of the action. According to the Honolulu Star Advertiser, Hyatt Centric Waikiki Beach will open this winter in the former Waikiki Trade Center office building. The newspaper reports that the company will convert the nearly empty office building into a new Hyatt in Waikiki, which will add 230 upscale oversize rooms and suites with spa-like bathrooms to the area’s tight hotel market. 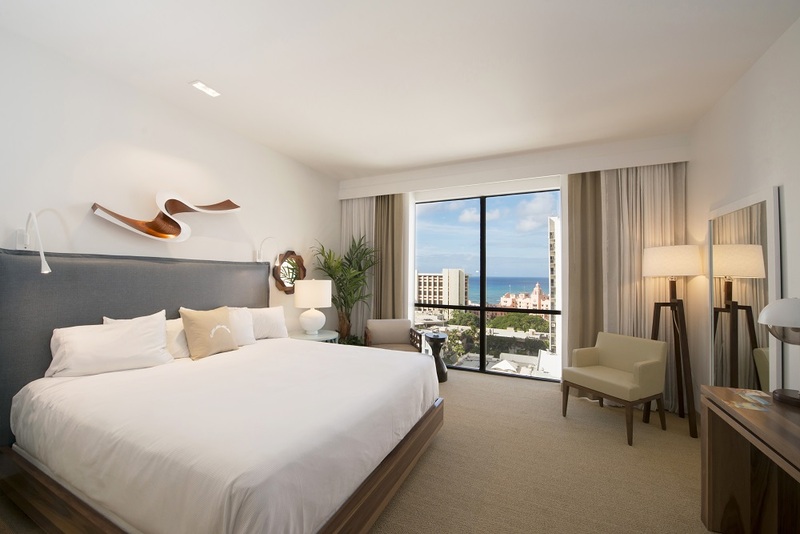 It also continues Kuhio Avenue improvements, which recently included the opening of the Hilton Garden Inn and the Ritz-Carlton Residences Waikiki Beach. The main goal of the new Hyatt Centric Waikiki is to host those who want to stay in the heart of Waikiki, within walking distance to most venues and beaches. “We’re confident that the new Hyatt Centric Waikiki Beach, coupled with its central location near the re-imagined International Market Place, will contribute greatly to the revitalization taking place along Kuhio Avenue and, in turn, support the health of Hawaii’s tourism industry,” said Cordell Lietz, president of CoastWood Capital Group, told the newspaper. The question of saturation remains, however. Just how many hotels can Waikiki handle? Joseph Toy, president and CEO of Hospitality Advisors LLC, told the Honolulu Star Advertiser the area can more than accommodate the new Hyatt in Waikiki and the hundreds of expected guests. The Hyatt Centric brand was introduced in 2015 and caters to millennial travelers, who prefer to stay in the heart of the place they visit, the paper reports. And, local folks just may benefit as well. The Honolulu Star Advertiser reports that the hotel will begin hiring for both part- and full-time positions in the fall. 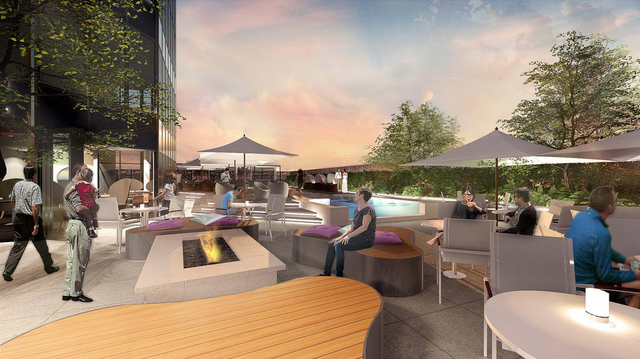 The new Hyatt Centric will feature modern outdoor space in the heart of Waikiki. No word, yet, on how much rooms at the new Hyatt in Waikiki will cost, but you can count on Hawaii Aloha Travel to negotiate a heavy discount for customers when the hotel opens its doors. Traveling to Waikiki before the hotel opens? No problem. Just click here for a list of Oahu hotels that partner with Hawaii Aloha Travel and ask your travel professional for the associated discount. One more perk to the new hotel? Waikiki is in the midst of a revitalization, and the Hyatt Centric brand will add value and desirability to the most popular visitor destination in Hawaii. If you have a bit of time before your visit, you may want to keep tabs on the renovations in progress, so you can be among the first to try-out this unique and “cool” hotel.